Technology is woven into just about every aspect of our lives. It is how we work, play, learn, communicate, shop, share information, and so on. So the importance of integrating technology in the classroom just makes sense. Technology in the classroom is changing the experience of education. It is changing the way children learn, educators teach and how teachers and students communicate with one another. Today’s schools have the opportunity to integrate mobile devices like the iPad in the classroom to open up a whole new world of engagement, personalized learning, and collaboration in the classroom. That’s why it comes as no surprise that programs like 1:1 implementations of iPads in the classroom and BYOD (Bring Your Own Device) have become so widespread in schools across the United States. One of the characteristics of the modern classroom is collaboration and having technology in the classroom helps to empower and develop that. With mobile devices, students can easily collaborate both inside and outside the classroom. Having technology like iPads in the classroom and other mobile devices can provide opportunities for students to be able to work and excel at their own level and pace. Educators can personalize lessons to fit each student’s progress. All kids gravitate toward technology. 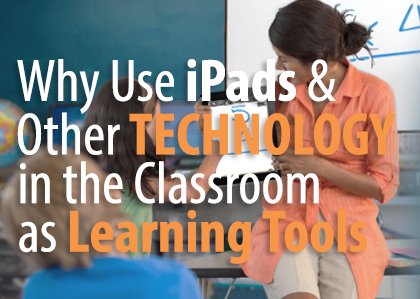 Bringing Technology in the classroom will most definitely get students more excited than ever. When students are more engaged they absorb more. Incorporating technology in the classroom through programs like BYOD and 1:1 iPad implementations, allows learning to be extended beyond the walls of the classroom. Students can easily carry on learning any time anywhere with mobile devices. As I said earlier, technology is woven into every aspect of our lives. This is especially true when it comes to our careers. In order to adequately prepare this generation for their future, the use of technology in the classroom is vital. They will be using these devices throughout college and their future careers, which are becoming more tech-based every day. 54% of students say they are more actively involved in courses that use technology as stated by the 2012 ECAR Report. 70% of students say they learn most in blended learning environments, according to the 2012 ECAR Report. According to surveys done by Open Colleges, 86% of students believe that tablets can help them to study more efficiently. 45% of teachers surveyed report the use of e-readers and 43% use tablet computers in their classrooms or to complete assignments according to a recent Pew Research study. 73% of teachers surveyed in Pew Research Center's Internet & American Life Project say that they and/or their students use their cell phones in the classroom or to complete assignments. 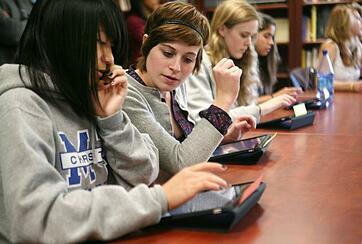 According to Open Colleges, 81% of U.S teachers think tablets can enrich classroom learning. Classroom technology like iPads and smartphones is vital in getting students involved with learning in the world they exist. 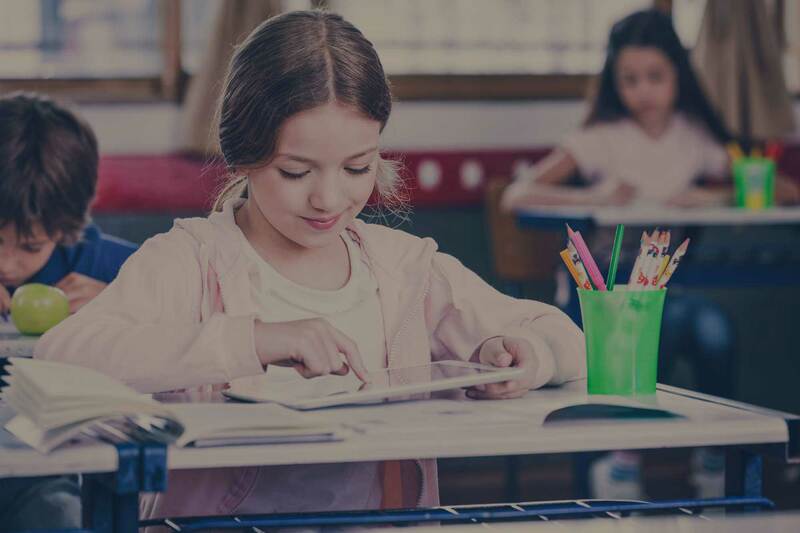 Although some institutions and educators have mixed emotions about bringing these technological innovations into the classroom, it is still important for schools to see that like it or not, mobile device technology is coming to their school wireless network. The integration of technology in the classroom is inevitable. 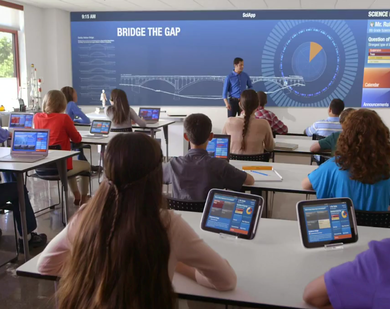 SecurEdge networks has designed and installed classroom technology into hundreds of classrooms. If your school is interested in integrating new classroom technology, you can contact us here with any questions or for a free consultation. 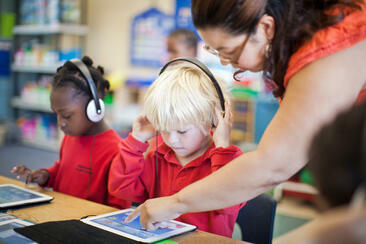 We have helped schools all over the US implement BYOD, 1:1 programs, and other classroom technology integrations. So we are experts, and we are always happy to help! Previous Post: What should be included in a Wireless Network Design?